This cozy farmhouse is located in the hilly region of Campriano on a panoramic point overlooking the Valdichiana. The farmhouse is near the medieval cities of Arezzo and Anghiari. There are a total of 5 apartments. Each apartment has a private terrace. The apartments are cozy and typical Tuscan style. The estate produces excellent organic wine and olive oil. There is 50 hectares of vineyards. Guests may use the communal swimming pool in the garden with garden furniture and barbecue. There is also a playground and table tennis. Wine tastings are organized. Nice to learn more about the Sangiovese, Merlot, Malvasia and Sauvignon Blanc grapes. The wines of the agriturismo have won several awards. 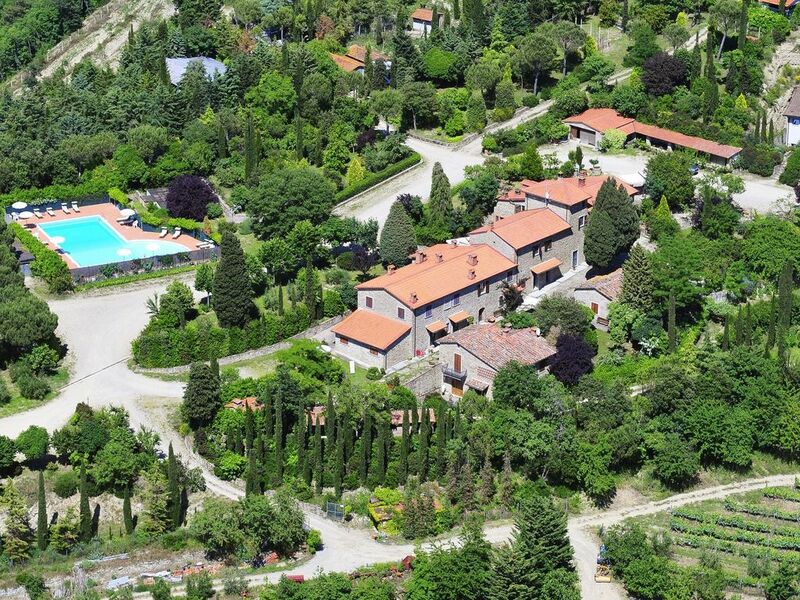 This agriturismo is a good base to visit cities in Tuscany.